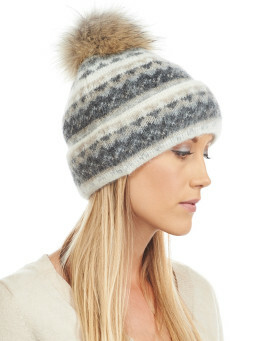 Icelandic Knit Wool Double Cuff Beanie Hat with Silver Fox Pom Pom: FurHatWorld. 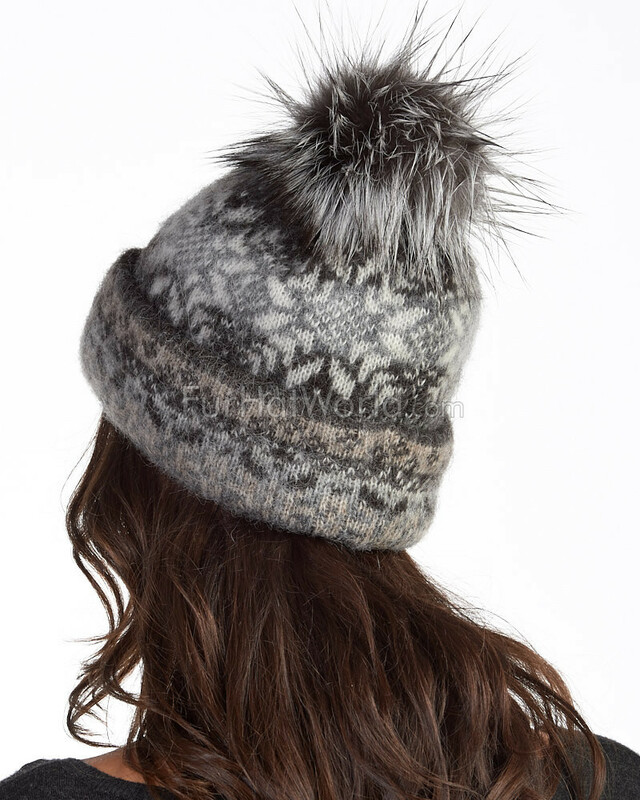 The lightweight design of our Icelandic Knit Wool Double Cuff Beanie with Silver Fox Pom Pom is just right for her. 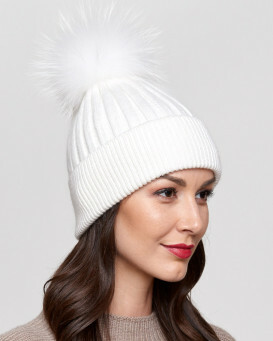 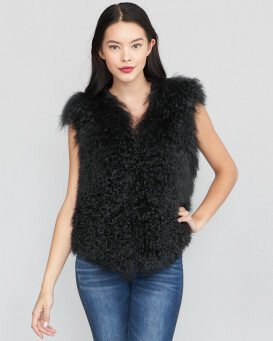 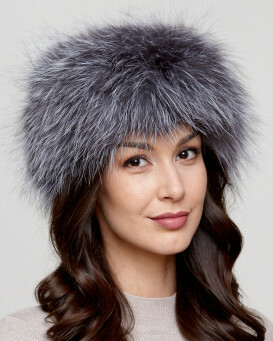 The comfortable and warm appeal is accented with a trendy large silver fox pom pom for a fashionable effect. 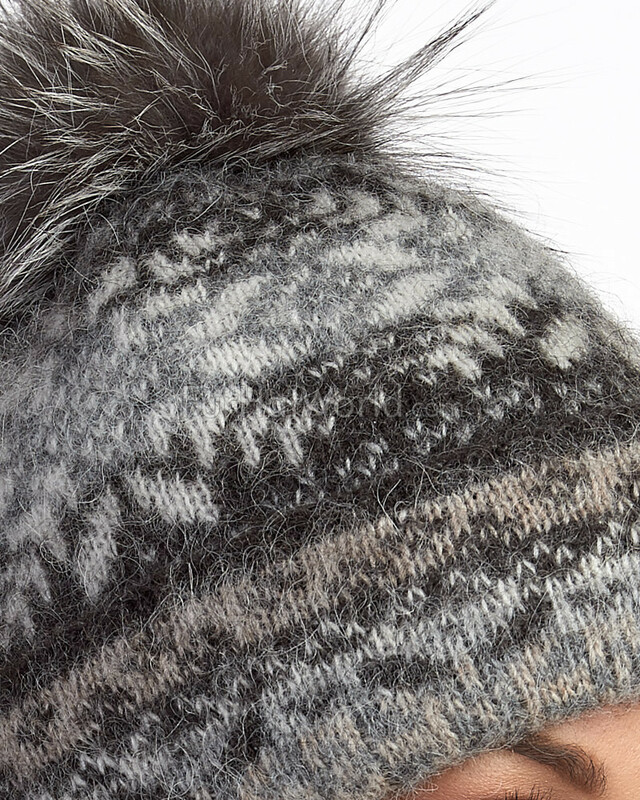 A 100% cotton trim interior headband is breathable and prevents discomfort. 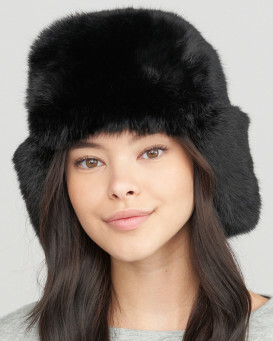 The adjustable double cuff band is crafted in a fold over design. 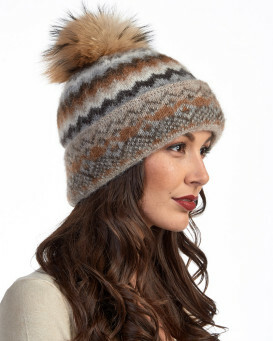 A traditional Nordic style is one size fits all and classic for the chillier winter months. 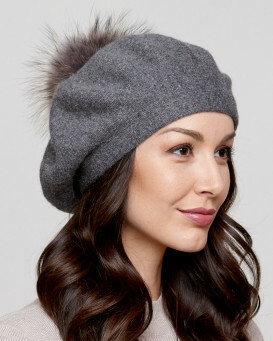 100% pure new wool is printed for a trendy look to go with a casual outfit meant for any cold weather activity.